Testing the Russian humanoid rescue robot Fedor created by the Russian Foundation for Advanced Research Projects by order of the Russian Emergency Situations Ministry, at the Android Technics Scientific Production Association. The Russian android robot called Fedor (Fyodor) can do the splits and screw in a light bulb, CEO of Android Technics Research and Production Association Alexander Permyakov told TASS on Dec. 9. Android Technics is the developer of the robot Fedor. The chief executive confirmed that the robot could do the splits to demonstrate its technical capabilities. Moreover, it can stand on one leg, having vertically lifted the other. Our chassis allows doing this. However, as part of the tests, this technical possibility did our robot a service when it had to overcome an obstacle," the Android Technics CEO said. The robot also has mobile fingers, he said. "We can also mention the robot’s ability to screw in a light bulb as an example of our own scientific and technical potential, which we have developed beyond the requirements of the Rescuer project," he added. Besides, the robot’s fine motor skills allow Fedor to insert the key in the lock, open the door of an apartment, switch on the light and drive a car. The robot Fedor has been developed under a technical assignment from Russia’s Emergencies’ Ministry. 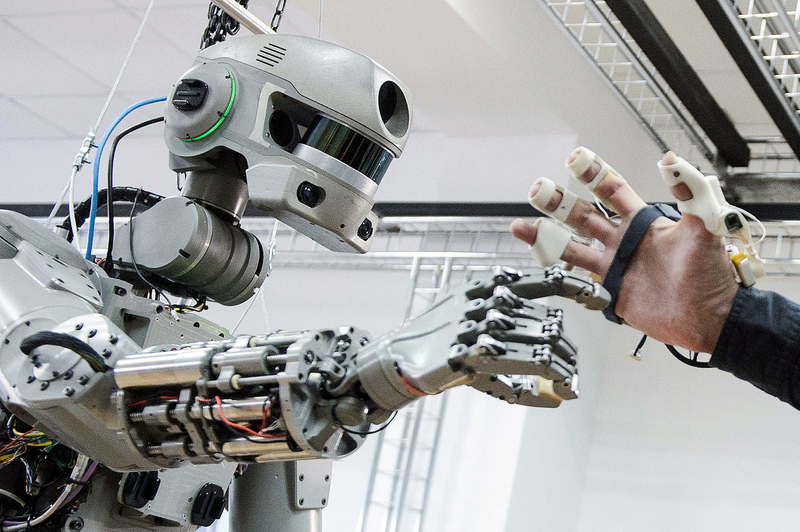 Originally, the robot was known under the notional name of Avatar but it has recently received is own name FEDOR, which stands for Final Experimental Demonstration Object Research. The robot is set to become the sole passenger of Russia’s new spacecraft Federatsiya in 2021 during the spaceship’s first flight. "The robot will be serially produced in a long-term perspective even in very large numbers but today what is required is to simplify the design and increase the robot’s service life. That is, it will be produced in a simplified form in the short-term perspective," the Android Technics chief executive said. The robot’s final prototype has been developed using the maximum of existing technical possibilities - it incorporates the most advanced devices and components, the CEO said. The serial production of special-purpose androids can be organized in Magnitogorsk in the Urals where Android Technics is building its own production base for its needs on an area of 11,000 meters, he said. Fedor will acquire the abilities for self-learning, Permyakov said. "The self-learning procedure is not incorporated in the model, which is now being demonstrated. In the future, it will necessarily appear because self-learning is a major direction of the development of autonomous robotics," he said. Currently, Fedor can already act on its own initiative within narrow scenarios, he said. "For example, it can build a 3D map of premises for local navigation, identify an object or an obstacle and perform an action as part of a prescribed scenario - to take up an instrument, carry out an operation with it, for example, to take up the key and open the lock in the door," Permyakov said.